Monthly contributor to column Homo sapiens Curtea de la Arges, periodical reporting on culture and science, edited by Gheorge Paun. Since 2016. Ad hoc Committee to develop a design program for ATEC graduate students. Anticipation: the interdisciplinary perspective. 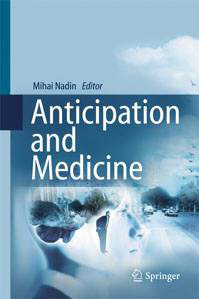 Anticipation applied to information technology, neural networks, education, politics, biological systems, engineering. September 22-24, 2014. Anticipation – Learning from the past. Early Soviet/Russian contributions to a science of anticipation. September 1-3, 2014. Founder and director, International Study Group in Anticipation Across Disciplines, Hanse Institute for Advanced Study/Hanse Wissenschaftskolleg, Delmenhorst, Germany. Visiting scholar, BISC (Berkeley Initiative for Soft Computing), Department of Electrical Engineering and Computer Science, University of California- Berkeley, 2002. Distinguished Visiting Professor, Computer Science, and Visiting Scholar, Center for the Study of Language and Information, Stanford University, 1999. Co-founder of @computational design, a company based on knowledge and technology transfer from the program in Computational Design of the University of Wuppertal, 1997. Professor (tenured), Chair of Computational Design, University of Wuppertal, Germany, 1994 to present. Courses in visualization, multimedia, intelligent CAD, ubiquitous computing, virtual reality, World-Wide Web. Principal, MINDesign. Research and consulting for education and business (new technologies and their creative applications), 1986 to present. Eminent Scholar in Art & Design Technology, Ohio State University, 1985-1988. Advanced applications in multimedia digital technology, visualization. Professor, Rhode Island School of Design, 1980-1985. Taught semiotics, design, communication, computer graphics, artificial intelligence, aesthetics. 1983-1984.Taught semiotics of art, computer-aided human activity. Director, Institute for Visual Communication and Semiotics, Providence RI, 1981-1985. Adjunct professor, Center for Research in Semiotics, Brown University, 1981-1985. Visiting professor, University of Essen, 1979-1980. Taught semiotics, design, aesthetics. Alexander von Humboldt Research Grant, Ludwig Maximilian University, Seminar fü r Philosophie, Logik, und Wissenschaftstheorie, Munich, 1978-1980. Research, and teaching in semiotics, aesthetics, axiology. Lecturer, summer courses at Centro Internazionale di Semiotica e di Linguistica, Urbino, Italy, 1978. Visiting professor, Carolo-Wilhelmina University, Braunschweig, Germany, 1977-1978. Courses in aesthetics and semiotics. Nomination as senior philosopher, Institute of Philosophy, University of Bucharest, Romania, 1976. Professor of philosophy, University of Brasov, Romania, 1969-1975.